Sometimes people wants to make a fake account on Facebook and they want make it look real. However if you are trying to impersonating someone, we recommend you to not to do it at the beginning of this page. Because impersonation can cause you serious charges by the court. You can check detailed information on this here: Is it Illegal to Impersonate Someone on Facebook in UK. There is also detailed information for United States too. You can make a search on our website to get information for USA. If you want to create just a fake account and if you want it to look real, we recommend you to take a look at deviantart for pictures which have no copyright claims. 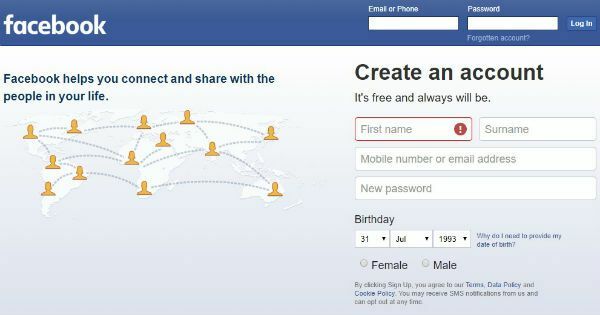 This will be the best beginning for your fake account on Facebook. We will tell you what to do step by step for making a fake account to look real on Facebook. Go to deviantart.com first to get best pictures for your account. Ensure that there is not any copyright claim on that picture. Try to find out some pictures with selfies. Don’t get model-like pictures for yourself. They must be unique. Then go to Facebook.com to create your account. Your age should be relevant with your picture. You shouldn’t look older or younger than your picture. Be realistic while you are sharing statuses. Don’t hurry to add people to your account. Join some active groups, post those places and expect people to add you. Please don’t forget that if you try add too much people, your account can be closed by Facebook staff. Don’t create accounts for celebrities. Try pages instead for fan clubs. Don’t try troll people with your status. Don’t share unrealistic stuff on your status. Be careful about age-picture combination. Don’t add too much people. Let people add you. Avoid getting pictures which have copyright claims on them. Try to get pictures of individuals which has more than one picture. Don’t create close relations with your friends on Facebook. If you have any questions, please feel free to ask us. You can also add your comments to improve this article. See: How to Find Your Facebook User ID Number?